Krishnaa Room is on the Second Floor of the Bed and Breakfast, a spiral staircase leads you to your room. If you are looking at Privacy, Comfort, Aircon, complete with your own Private sit out, then this is the room for you ! It's also the room with the largest ensuite in Villa Camelot ! The room has a heritage feel to it, and the decor, colour theme gets changed every month ( well you see, even we like change ) !!! 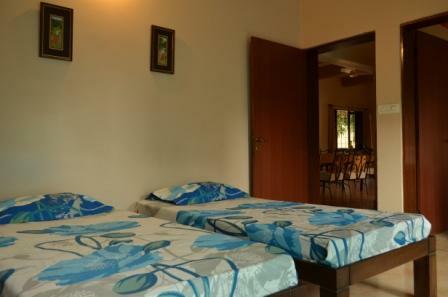 The two Mogra Rooms are located on the ground Floor of the Bed and Breakfast. These rooms have easy access to the Back yard, and have a Private Lounge / TV room. Great for stays longer than 90 days, as the tariff is super competitive. The rooms are comfortable and minimalist, with Twin Beds. A great option for travellers wanting the maximum out of their currency conversion. They are at par with any good Serviced Apartment, Guesthouse and budget Hotel in Whitefield and Bangalore ! Common Media Room , Fully loaded Satellite Channels. Afterall , it's all about your comfort at our Bed and Breakfast in Bangalore ! 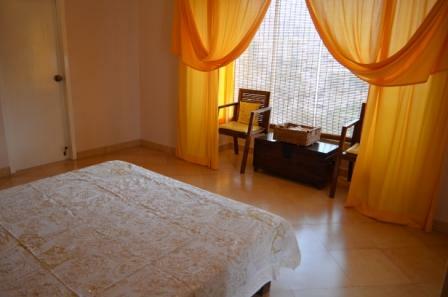 Kamal & Champa Rooms are located on the second floor of the property. These rooms are given only on Single Occupancy, have the comfort of a Queen double bed and a shared ensuite Bathroom. Kamal room is fan cooled and boasts of splendid ventilation. 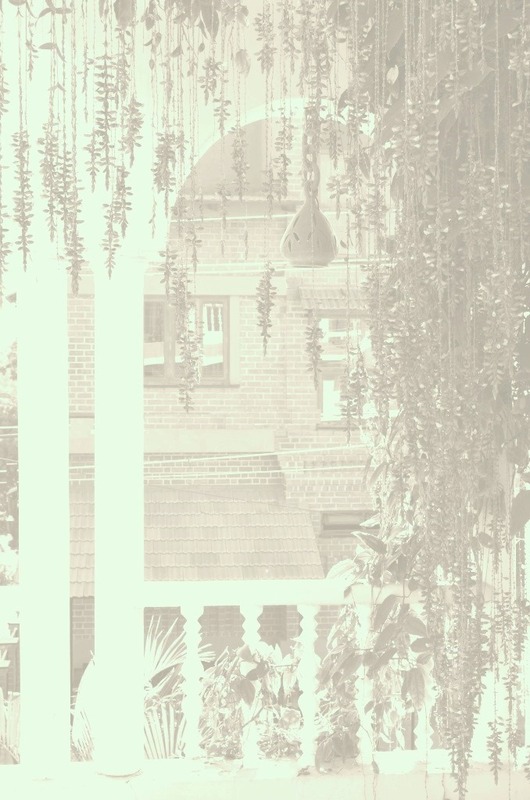 Champa room is Air Conditioned and has direct access to a private balcony.